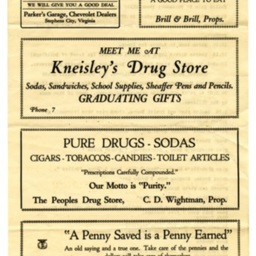 Program for the May 11, 1928 "Health Day" at the Strasburg High School. 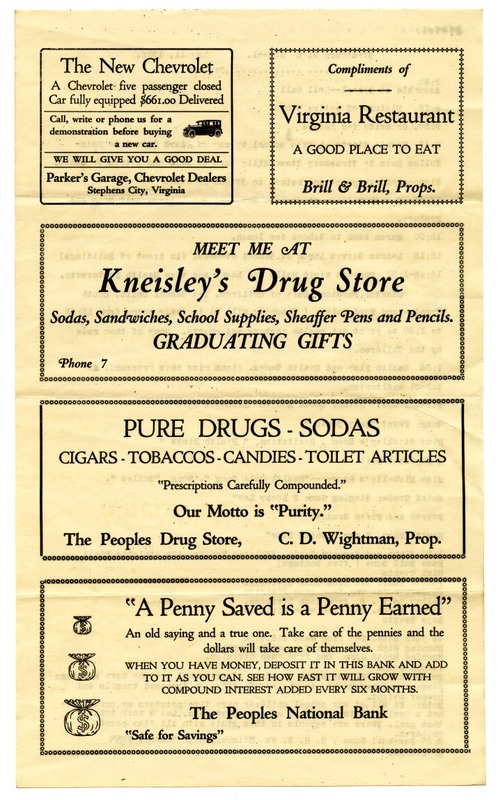 Included are advertisements for Parker's Garage in Stevens City Virginia, the Virginia Restaurant, Kneisley's Drug Store, Peoples Drug Store, and Peoples National Bank in Strasburg. 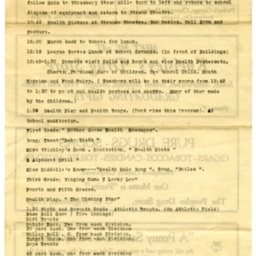 Folder 4.13: Strasburg High School Health Day, Document Series, Lichliter Collection, Truban Archives, Shenandoah County Library, Edinburg, Virginia. 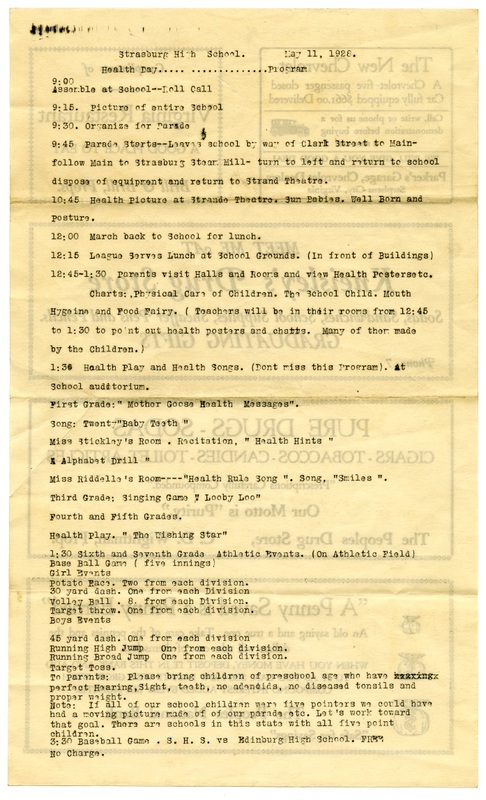 Unknown, “Strasburg High School Health Day Program,” Shenandoah County Library Archives, accessed April 22, 2019, http://archives.countylib.org/items/show/11759.